C &G Tours is located in Irwin, PA, approximately 25 miles east of Pittsburgh, PA. We provide motor coach tours for student educational trips, bands, and sports groups, serving many school districts in the Pittsburgh region, Ohio, West Virginia, and throughout South Western, PA.
Our destinations include a score of cities across the Eastern U.S. and into Canada (Toronto). "Please accept my sincere thanks for a wonderful trip this past weekend. Boston turned out to be an outstanding place for our band to visit thanks greatly in part to the wonderful itinerary that you put together. I appreciate very much your constant attention to detail, your concern for the students, and your response to our needs. It was very obvious how hard you worked before - and during the trip to ensure its success." Tell us about your travel needs. At C&G Tours we have a new and exciting travel extra, just for you - Group Travel Videos by PhotoVision, Inc.
What is a Group Travel Video? While enjoying one of our great student trips, your group uploads photos with PhotoVision, Inc.'s easy to use mobile app or website. PhotoVision edits your photos into an exciting travel video, accessible by anyone with your group's username and password. That means family and friends can follow along with your on-the-road adventures. Afterward, PhotoVision ships your video DVDs to you as a permanent memento of a great student travel experience! You can learn more at this Demo Link, or by clicking through the on-page demo below. Have more questions, please give us a call at 1-800-332-5214. 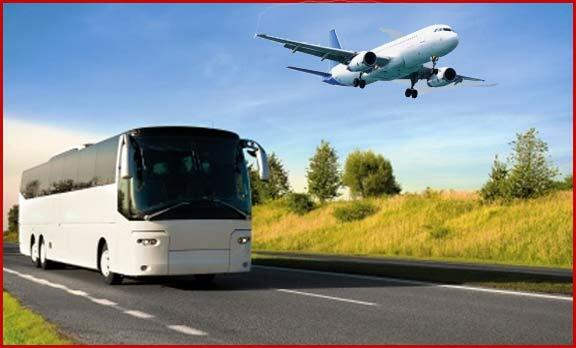 A C&G Tours travel advisor will be glad to answer your questions. 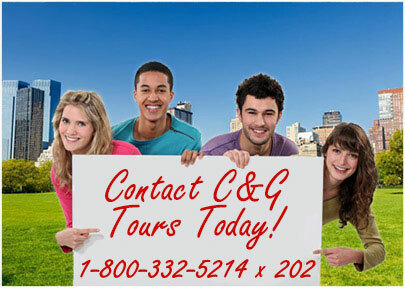 C&G Tours is located in Irwin, PA, near Pittsburgh, PA. We provide motor coach tours for student educational trips, bands, and sports groups, serving many school districts in Pennsylvania, Ohio, West Virginia, Kentucky, Virginia, and Maryland.